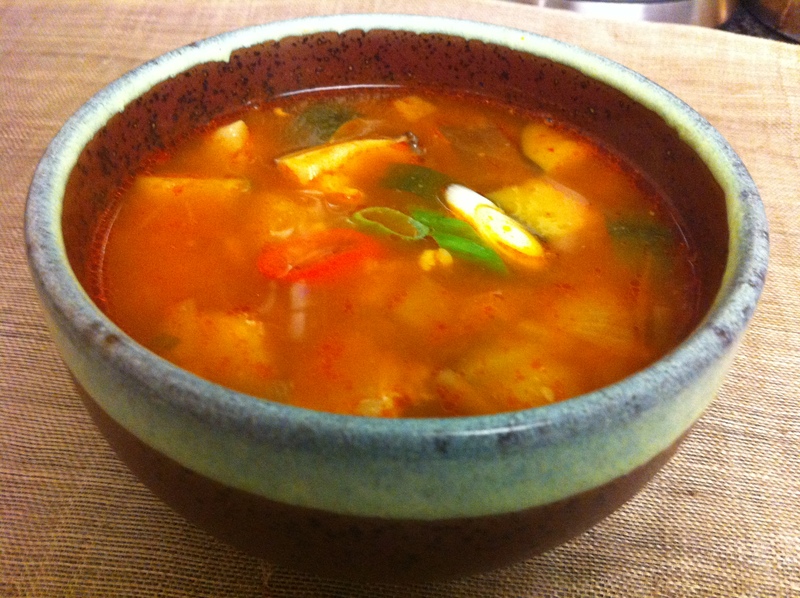 I like this hearty nutritious spicy stew especially on a cold day. It is full of vegetables and the pork makes it even tastier. 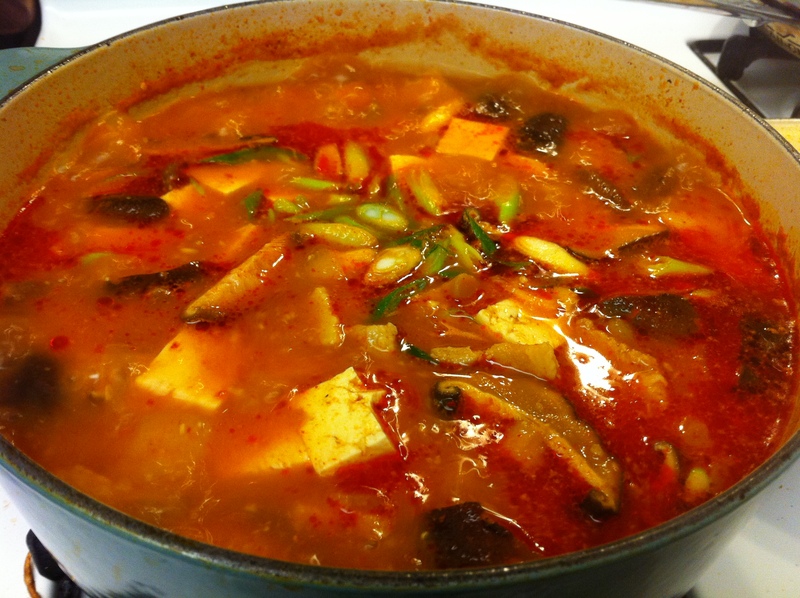 This classic stew is especially favored by men and is great with a little soju! 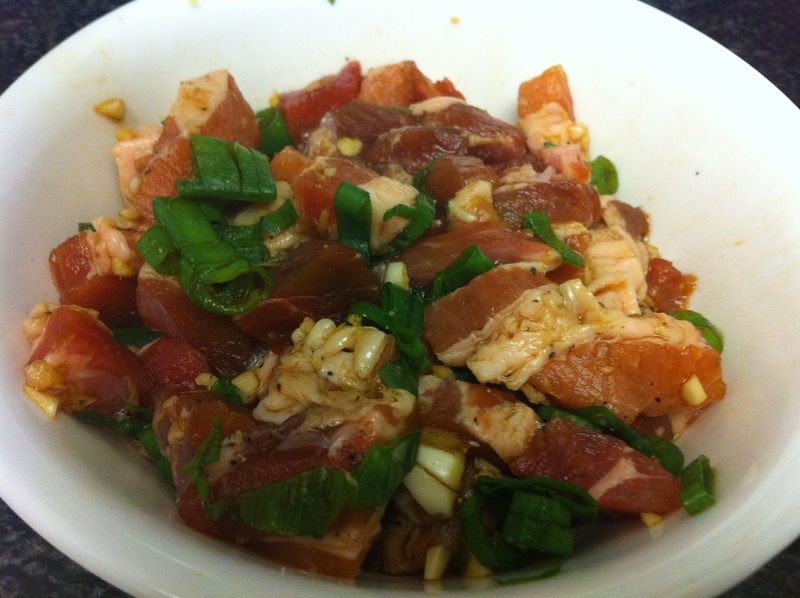 Mix the pork marinade ingredients and marinate the pork. Let it sit in the refrigerator. If you are using dried shitake mushrooms, place them in warm water for about 15-20 minutes. 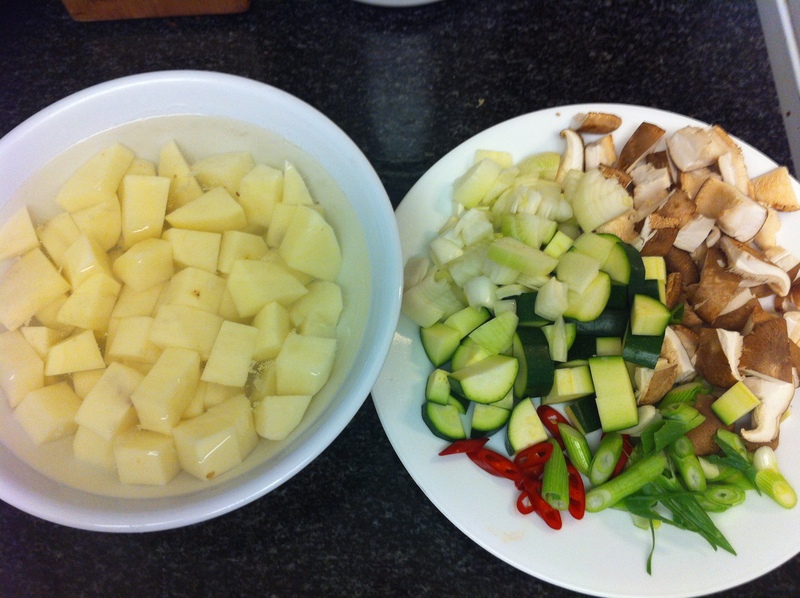 Cut all the vegetables into similar sizes. Place the cut potatoes into water to prevent discoloring. Heat a large pot and drizzle vegetable oil such as grape seed oil. 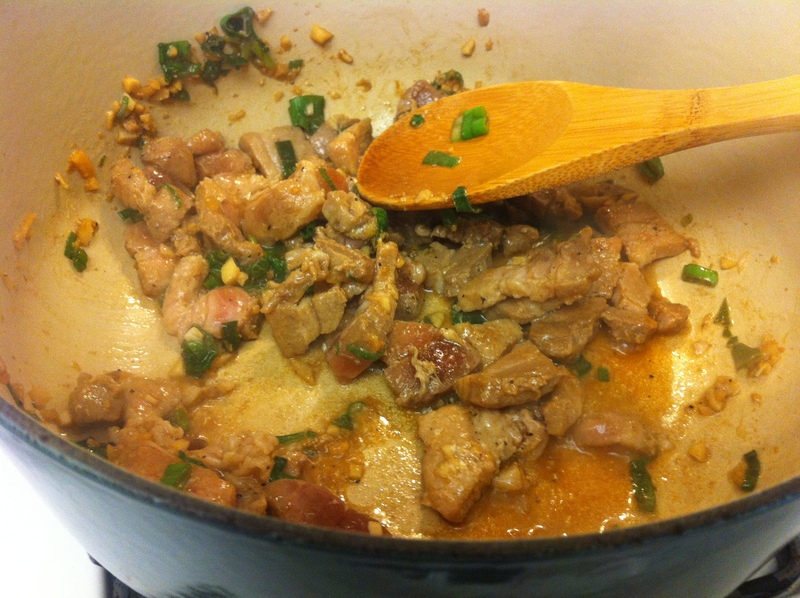 Sauté the marinated pork for about 3-5 minutes. Pour in about 6 cups of water. 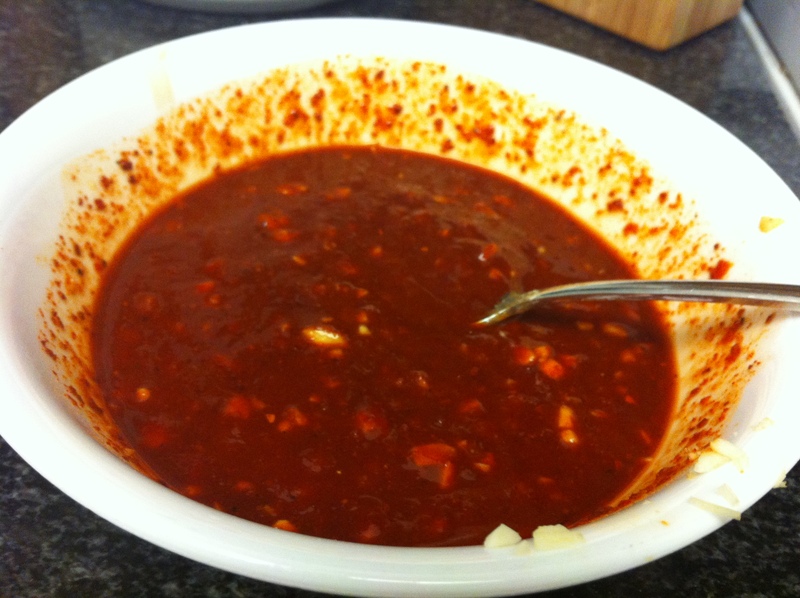 Mix in about 3/4 of the soup sauce. Increase the heat and bring the stew to a boil. Add all the vegetables except for the scallions and red chili pepper. Lower the heat to a simmer. Cover the pot and let it cook until the potatoes are fully cooked. 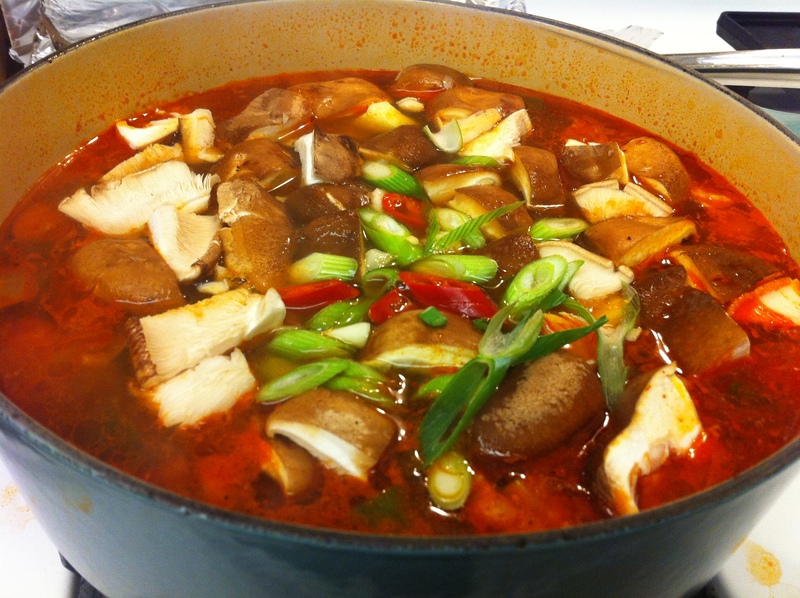 Add the tofu, scallions and red chili peppers. Taste and add the remaining soup sauce if needed. Cook for 5 more minutes. Add salt and black pepper to taste. Serve with rice. 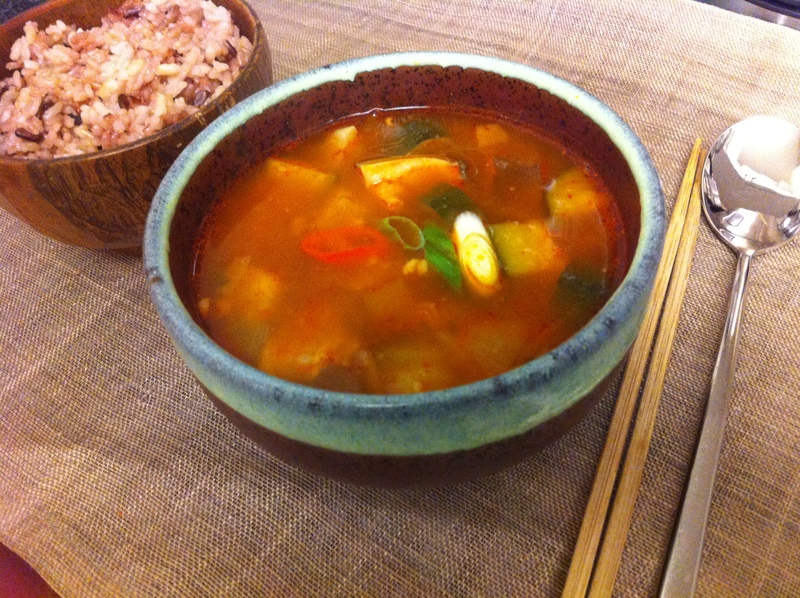 This entry was posted in Good for dinner, Good for lunch, Soup/Stew (국/탕/찌게) and tagged Jjigae, Pork, Potato, Spicy, Stew, zucchini by gangnamkitchen. Bookmark the permalink. One of the best soups I’ve ever tasted. Thank you! Thank you so much!!! So happy to hear.